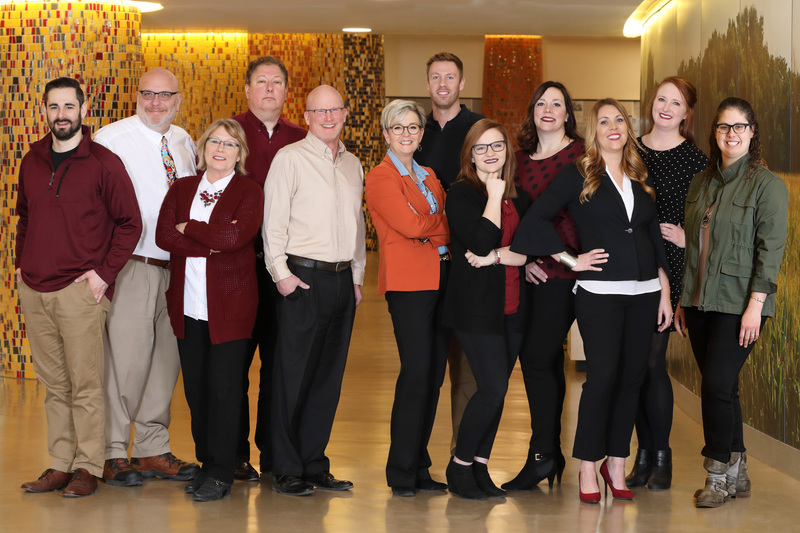 These are the faces behind the work of the Chamber, CVB, Development Corp. and MMS&B. Mark’s desk is where the buck stops. As the executive director, he is responsible for the strategic goals and outcomes of the Chamber, Development Corp, CVB and Enterprise Division. Mark is a recent addition to the staff at 601 North Main, with experience as a police officer and as an area director for U.S. Congressman (now Senator) John Thune. For the past six years, he’s been the executive vice president at the Greater Fargo/Moorhead Economic Development Corporation. He is a Certified Economic Developer (CEcD), as well as an Economic Development Finance Professional (EDFP). Mark is a graduate of the Advanced Economic Development Leadership inaugural class, a collaboration of Southern Mississippi University, Texas Christian University, Clemson University and the University of Alabama. Mark and his wife, Dawn, have three adult children and seven grandchildren. Mark is a native of Aberdeen, South Dakota. A transplanted Minnesotan, Sonya has been with the Mitchell Chamber since 2010. As the director, she is like the conductor of an orchestra – or more appropriately, the ringmaster at a circus. She provides direction to staff and volunteers for organizational programs. She’s the leader when it comes to implementing procedures, systems and the organizational strategic plan. 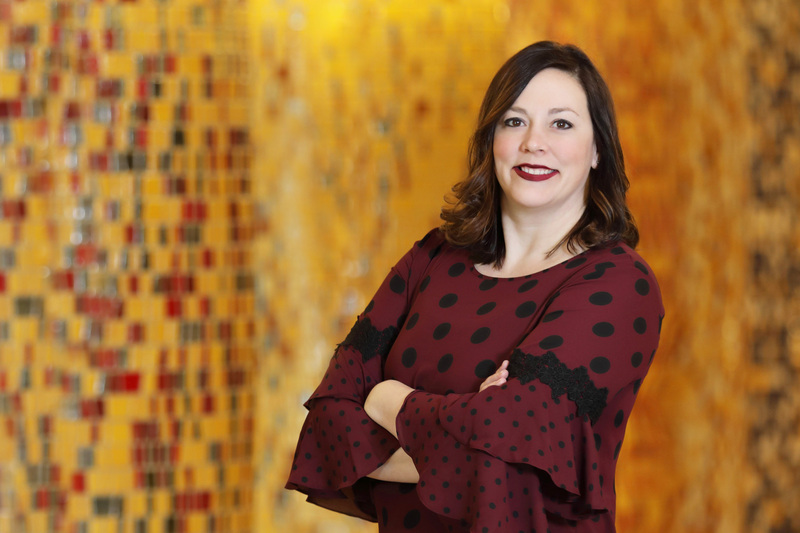 Sonya’s background includes working for the Chamber in Spencer, Iowa, and the Brookings Economic Development Corporation in Brookings, South Dakota. She earned her B.A. from South Dakota State University in Brookings, which explains her status as an avid SDSU Jackrabbits fan. Sonya serves on the Lead Team at Fusion Church, plus she’s a Rotary member, on the Corn Palace Entertainment and the James Valley Community Center boards, as well as a PTA member at her son’s school. Sonya and her husband, Chris, have two sons, Carter and Canon. Kimberly is our numbers person, responsible for all financial aspects of the organizations at 601 N.Main. Other than a brief stint in banking, she’s been at the Chamber for her entire career, since 2005. Kimberly is almost local – she grew up in nearby Woonsocket – and she’s a fine example of Mitchell’s quality higher education: she earned her associate degree in accounting/computers at Mitchell Technical Institute, went on to Dakota Wesleyan University to earn her B.A., and in 2014, she completed her M.B.A. from DWU. In addition to her day job, Kimberly works as the treasurer for her church, First United Methodist. When there’s free time, she likes puzzles, the Dallas Cowboys, and indulging in her recently discovered love of travel with her partner, Chad. Kimberly has two children, Kennedy and Ethan. Abbey is the queen of committees. She manages the coordination and implementation of all Chamber programs, activities and events. She handles correspondence with Chamber committees and helps them reach their goals. She is a juggler extraordinaire! 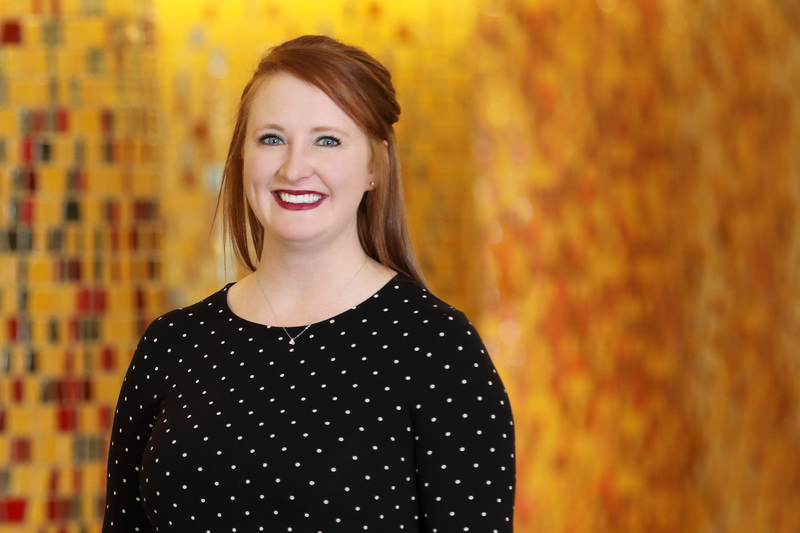 Abbey graduated from the Avera School of Emergency Medical Services, and worked as an EMT, a nanny and an insurance agent before coming to the Chamber. She earned her bachelor’s degree at the University of South Dakota in her hometown, Vermillion. She is a wish-granter for Make-A-Wish South Dakota, a member of the Optimist Club and a Junior Achievement volunteer. 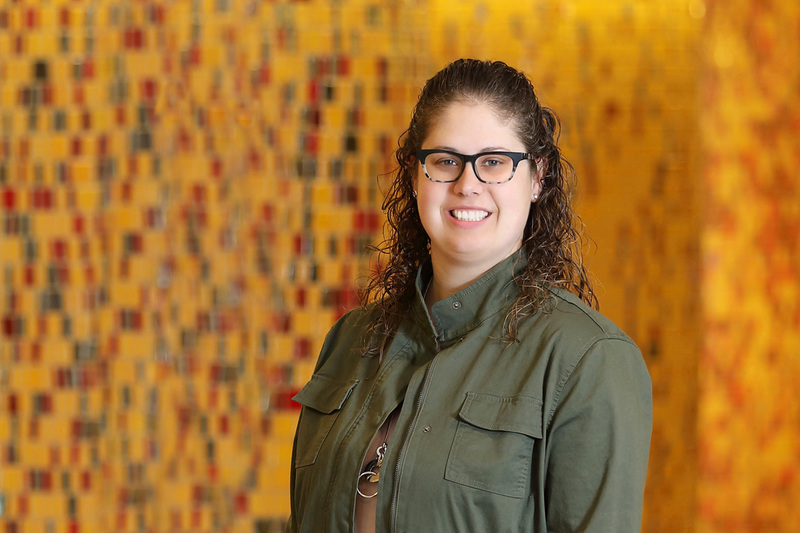 Abbey’s a Green Bay Packers fan, and she juggles at home as well as at work, attending lots of activities with her kids, plus traveling and family camping trips. Abbey and her husband, Jonathan, have three children, twins Emersyn and Cooper, and Bentley. They also have three foster babies. Nick manages the Corn Palace Gift Shop, and he is the buyer of the merch – all the cool stuff tourists (and locals) buy to represent this corner of the (corny) world. Nick’s previous retail experience includes Glik’s, where he was a district manager. He’s on the Junior Achievement Board and is also a classroom volunteer. Nick is a sportsman – he enjoys hunting as well as baseball (which he played in college) and hockey. He is known for his unbridled enthusiasm and irreverent wit around the office. A native of Minnesota, Nick earned his bachelor’s degree from the University of Wisconsin-Superior. He and his wife, Laura, have a son, Nixon, and a daughter, Maddox. 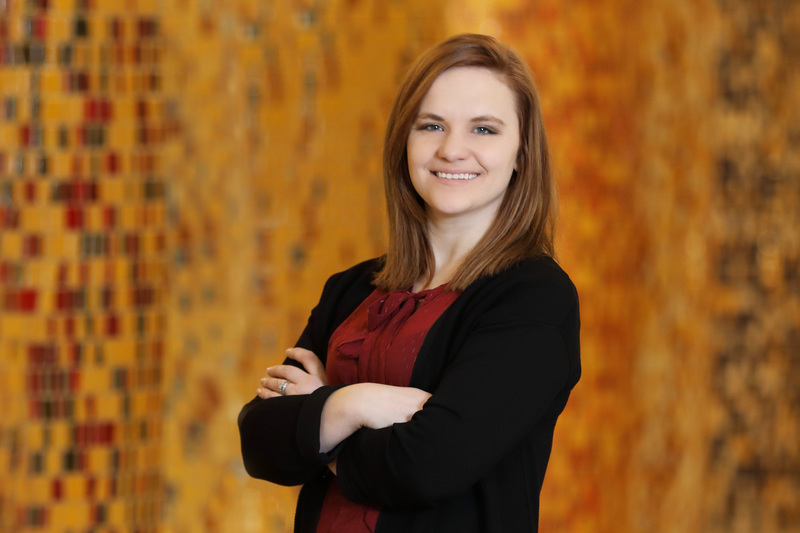 Jen is our marketer … she leads all the community and Corn Palace marketing efforts while keeping her eye on data and market research. 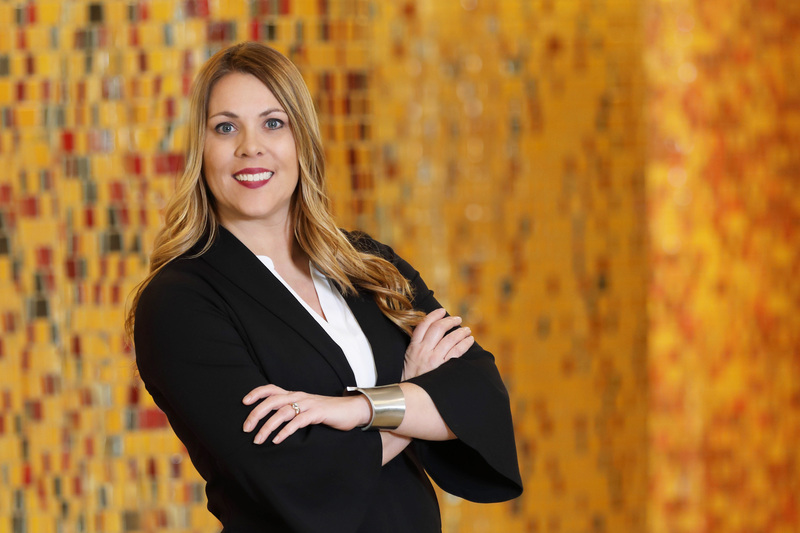 Her previous experience includes working at the Mitchell Cabela’s store as the marketing manager, serving as the Mitchell CVB marketing coordinator and as the director of Mitchell Main Street & Beyond. Jen is involved with the Optimist Club, Junior Achievement and Fusion Church. She’s a fan of Highlander grog coffee, cabernet sauvignon, the Green Bay Packers, fresh $5 flowers from the grocery store and HGTV. She’s a proud grad of the University of South Dakota in Vermillion. Jen and her S.O., Jason, have five kids between them – hers: Ella and Ty; and his: Emma, Maci and Hailey. Emily is our resident graphic artist. She is responsible for the creative graphics that represent all organizations housed at 601 N. Main St., as well as marketing specifically for tourism and hunting. She earned her bachelor’s degree in digital arts and design from Dakota State University in Madison. With her talent, Emily helps position Mitchell in an effective, consistent and attractive manner. She’s a lifelong South Dakotan, and a true Millennial with the side hustle to prove it. When Emily’s not working to position Mitchell at the forefront, she has a jewelry business and she creates wood wall art. Emily is a Junior Achievement volunteer, and she enjoys camping and archery. Emily and her husband, Tyler, have two dogs, Riley and Sam. Troy is probably best known for his outstanding tours of the World’s Only Corn Palace, which are based on his incredible knowledge gleaned over 30+ years working in tourism in Mitchell. Though he was born in Sioux Falls, Mitchell has been Troy’s home since he was four years old. He earned a bachelor’s degree at Dakota Wesleyan University. Troy is an involved community member: He is the past master of the Mitchell Masonic Lodge, spent six years as a district master for the Grand Lodge of South Dakota, twice president of the Corn Palace Shrine Club, member of the El Riad Clown Unit, member of the Mitchell Area Historical Society and served on more than 100 color guards for military funerals as a member of the Sons of the American Legion. He is president of the Mitchell Lions Club and is a founding member of the 20-year-old Community Christmas Day Dinner Committee. Troy was named Mr. Mason in Mitchell, Corn Palace Shrine Club Shriner of the Year, El Riad Apprentice Clown of the Year, El Riad Clown of the Year, El Riad Out of Town Shriner of the Year and Mitchell Lions Club Lion of the Year twice. Laurie is lifelong resident of Mitchell, and she has served in various capacities at the Mitchell Chamber and the Development Corporation for 22 years. Laurie is a graduate of the US Chamber of Commerce Institute for Organization Management four-year program, and she served for four years on the US Chamber Institute Board of Regents. She’s usually the first face you see when you walk in the door at 601 N. Main St. Laurie keeps things running by managing supplies, facilities, property research, calendars and sometimes, people. If you have a question – regardless of whether it’s who, what, why, where or when – Laurie probably knows the answer. Though she doesn’t have much free time, in the summer, her yard is her haven for entertaining grandkids. Laurie and her husband, Louie, have three adult children and six grandchildren. As the workforce coordinator, Lori is a connector. 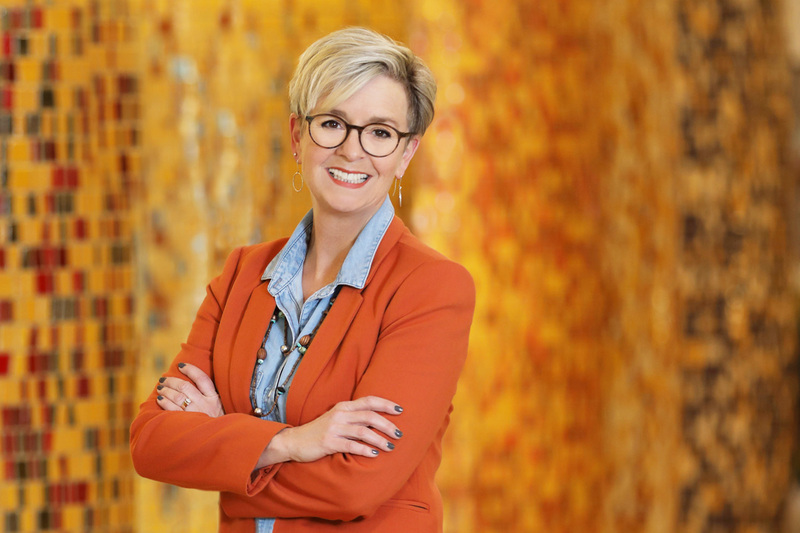 Whether it’s linking education to careers, job-seekers to employers, or telling the stories of Mitchell residents to share via traditional and social media, she works to build relationships that will result in more residents – and therefore, employees – in the Mitchell area. She’s also the staff member who fields the most questions about grammar and punctuation. A native of Watertown, South Dakota, Lori’s early career was in chamber and CVB work in South Dakota and Minnesota. Most recently, she retired from Dakota Wesleyan University after 18 years as the VP for marketing and communications. Fun fact: this is the third time she’s been employed at the Mitchell Chamber/CVB/Development office. 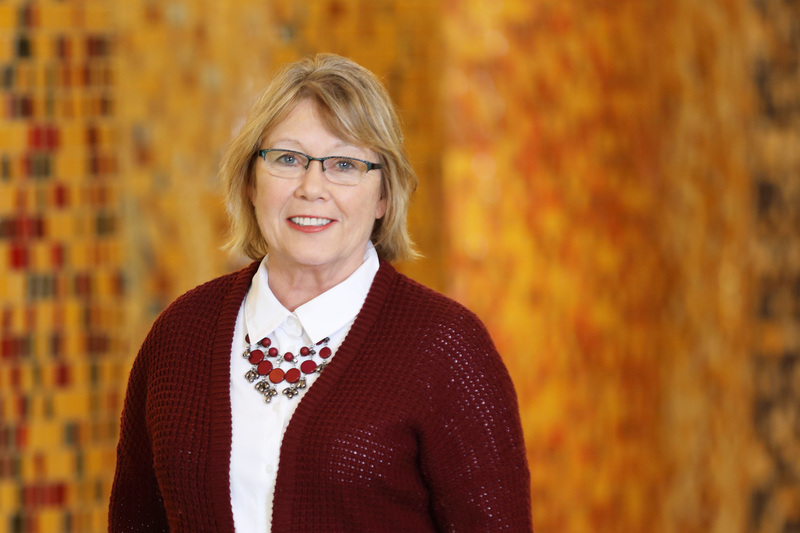 Lori’s community involvement includes past service on the boards of directors of the Chamber, the MADC, the Abbott House, Avera Queen of Peace and Rotary. She earned her bachelor’s degree from St. Cloud State University. An empty-nester, Lori spends her downtime reading, knitting, cooking, and traveling. Sometimes, she even tries to do several of those things at once. She and her husband, Pat, have two grown daughters and two grandchildren. Raised on a dairy farm 25 miles northeast of Mitchell, David understands the value and importance of hard work and relationships in the long-term viability of small business development in small communities. 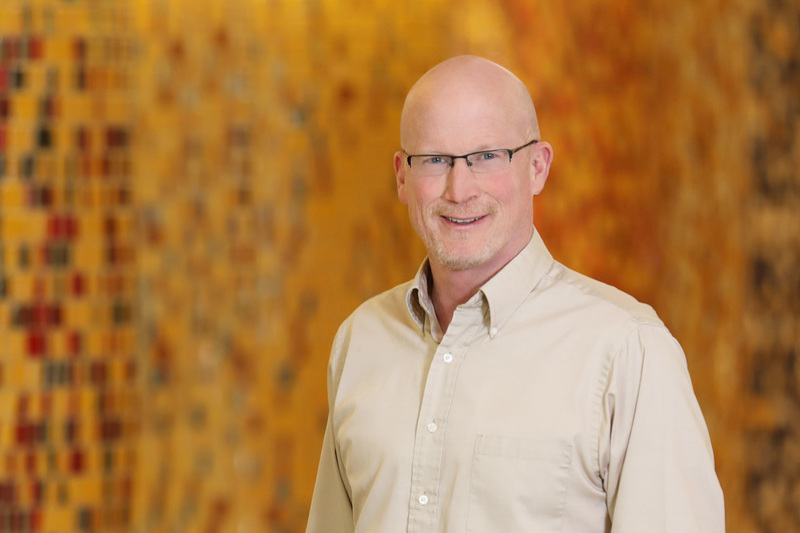 For the last 24 years, David’s work experiences have been in the areas of community and economic development – most recently with Dakota Heartland Development Association (DHDA). DHDA provides technical business assistance for a consortium of communities in a six-county region in South Central South Dakota under a contract-for-services through the Mitchell Area Development Corporation. 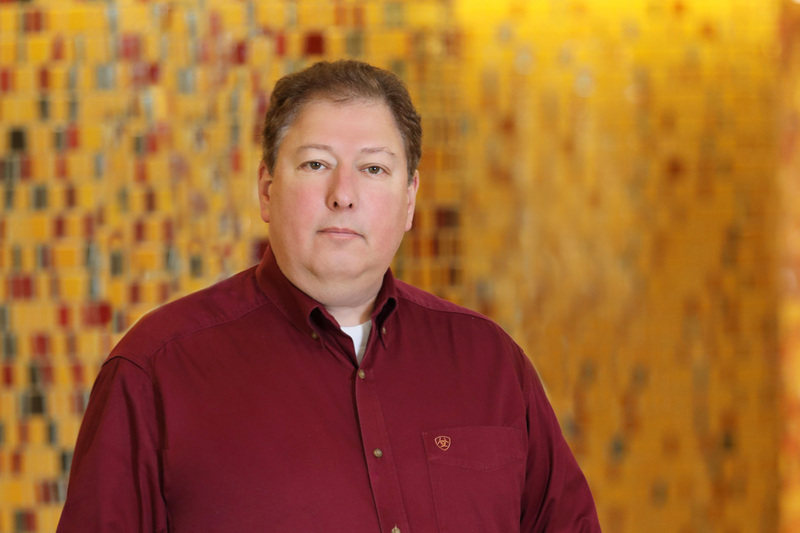 David’s education includes undergraduate degrees from Mitchell Tech and Dakota Wesleyan University, and a graduate degree from Minnesota State University at Mankato, Minnesota. David and his wife, Virginia, have two daughters. David is currently on Mitchell Technical Institute’s Business Management Advisory Committee, engaged in numerous leadership roles at Mitchell First United Methodist Church and actively participates as a backstage roadie for his daughter’s Show Choir – Friend De Coup. 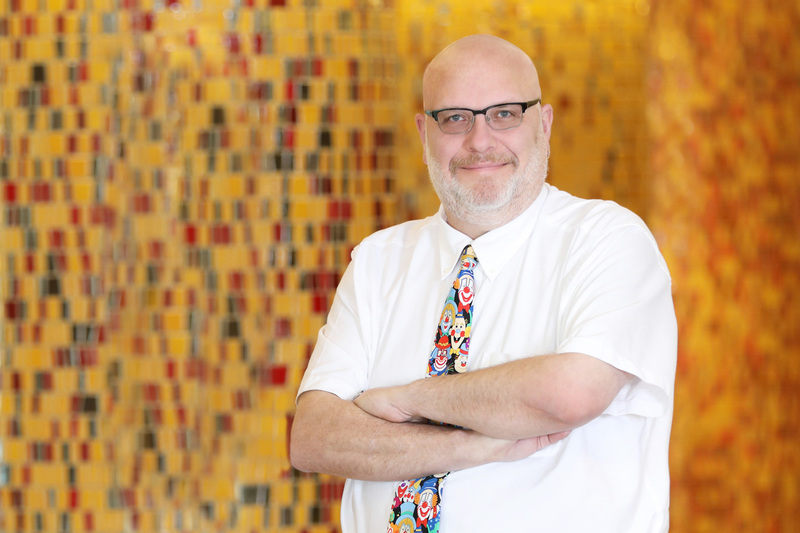 David’s StrengthsFinder profile indicates that he possesses the following five themes: Empathy, Connectedness, Positivity, Belief, and Arranger. David’s theme song is “Hair of the Dog” by Nazareth. Jared is responsible for all things Main Street. He manages marketing and promotions, economic development and downtown revitalization projects. Before he came to Mitchell, Jared worked in college athletics: He was the athletic marketing assistant at the University of Tennessee, and he was the assistant athletic director at Dakota State university. Continuing this tradition, he joined the TeamMakers booster club at Dakota Wesleyan University in Mitchell shortly after his arrival. He also supports the Cougar Athletic Club in his hometown of Burke, South Dakota. Jared spends his free time as a self-proclaimed college sports fanatic. His faves? The USD ‘Yotes and the Tennessee Vols (Go Big Orange! ).